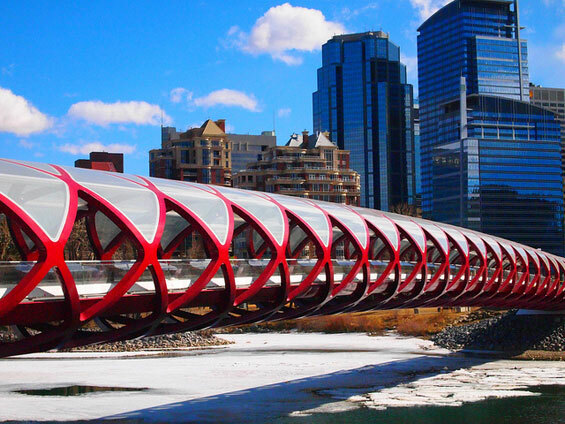 The striking red Peace Bridge designed by Santiago Calatrava opened to the public with a community celebration on Saturday 24 March. 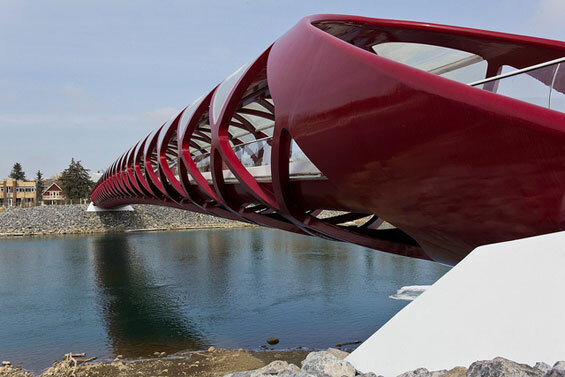 The bridge design was unveiled in 2009 to varied opinions and created controvesy for its color, design and cost. 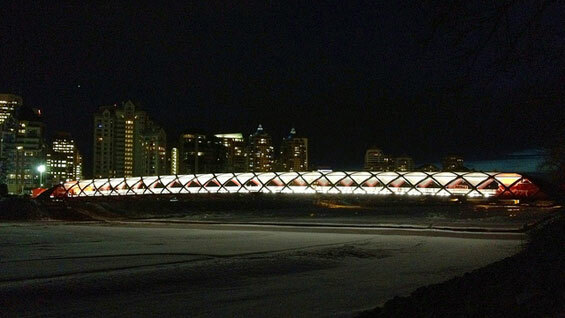 Now that has faded into the background as the bridge has become a reality and opened to the public with many celebrating by crossing the bridge for the first time. 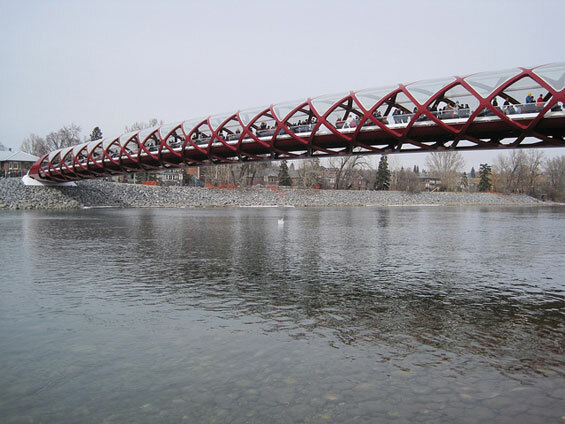 In September 2008, Calgary City Council approved the construction of a pedestrian bridge over the Bow River west of Prince’s Island Park. 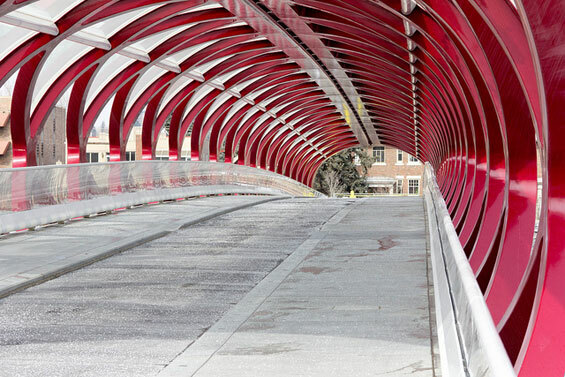 The location of the bridge is designed to create a convenient link for users of Calgary’s pathway system and pedestrians wishing to travel between the Sunnyside LRT Station and central downtown destinations. 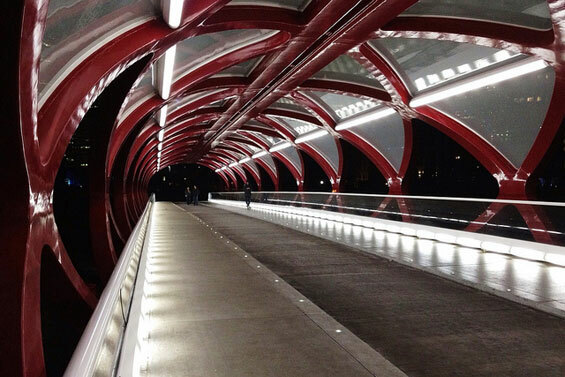 A 6.2-metre wide pathway, double the width of other pedestrian bridges in the area. A clear separation between pedestrian and bicycle/wheel traffic for safety. 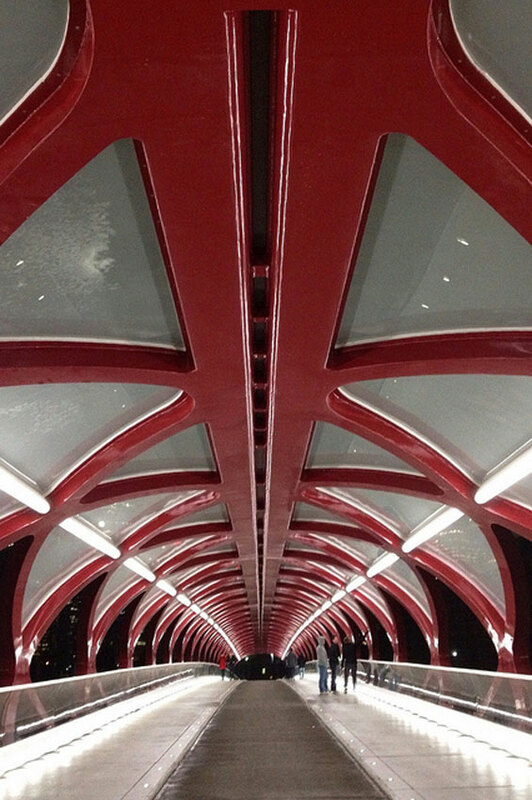 Canopy-style glazed roof supports year round use while maintaining natural light. 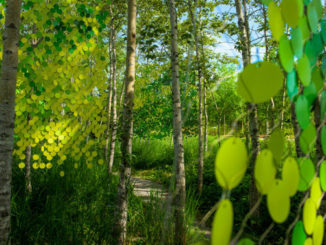 Lighting for night time use.